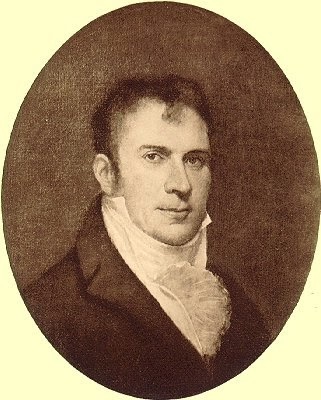 The portrait above represents Robert Fulton, an American engineer and inventor who worked closely with William Pitt in 1804 in relation to the development of torpedo warfare. Unfortunately, after Pitt’s death the contract with the British Navy failed, and consequently the American Civil War was the first time torpedo submarines were deployed in war. Pitt witnessed a test of Fulton’s torpedo in person at Deal, Kent, in October 1804 (See Ehrman, J. (1996) The Younger Pitt, Volume 3, Chapter XIX, p. 707).